Hugo Troll Race Classic - the worlds most famous troll, is back on track! Be warned - very addictive! Following the success of Hugo Retro Mania - Hugo is back and ready for the ride of his life. 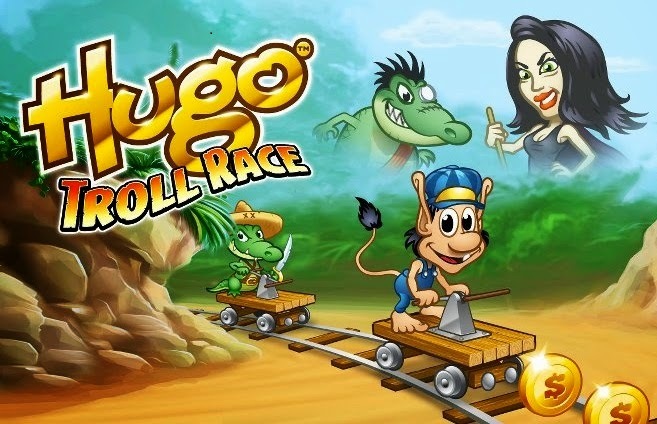 Relive the original and hugely popular Hugo train game, which was broadcast in the nineties across the world and watched by more than 400 million per week! This time with fantastic 3D graphics, expanded gameplay and tons of new and exciting features. Join Hugo as he mounts his trolley while his arch-enemy, the evil witch Scylla and her henchmen, breathe down his neck. Great reflexes and a quick mind are your weapons to overcome hurdles, oncoming trains and evil enemies. - Seamless Game Center interaction - see how far your friends made it, and beat them! Come on and join Hugo on the most addictive chase ever on the App Store!